he Queen's Corgi is an animated feature film produced by nWave Pictures. 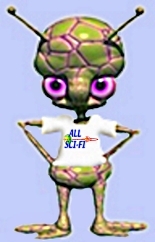 The film was directed by Ben Stassen and Vincent Kesteloot, and written by John R. Smith and Rob Sprackling. It is based on Queen Elizabeth II and her corgis friendship. The film follows a corgi named Rex, who gets lost and tries to find his way home. It was released on 3 April 2019. Rex, one of the British monarch's most beloved corgis, gets lost from the palace and runs into a dog fight club with all sorts confronting each other. He then goes on a long journey to find the queen again. The Queen’s Corgi, the 3D animated adventure tale directed by Ben Stassen and Vincent Kesteloot, had a banner opening in France on Wednesday, scoring the country’s best first-day haul for an independent European animated film. Written by Rob Sprackling and Johnny Smith, the pair behind Gnomeo and Juliet, The Queen’s Corgi grossed approximately €304,000 euros from 44,701 tickets on Wednesday in France. It’s this year’s fifth-highest opening day for a non-U.S. film so far in France, after Serial (Bad) Weddings 2, Dragon Ball Super: Broly, City Hunter and Tanguy 2, all of which are franchise-based pics. Charades is representing the film in international markets. Apollo, the company launched by former Gaumont and Studiocanal exec Francois Clerc, is handling French distribution in association with TF1 Studio, and is giving the movie a wide release in France across 511 screens The Queen’s Corgi, the 3-D animated adventure tale directed by Ben Stassen and Vincent Kesteloot, had a banner opening in France on Wednesday, scoring the country’s best first-day haul for an independent European animated film. The Queen’s Corgi follows the adventures of Rex, the British monarch’s most beloved dog, who loses track of his mistress and stumbles across a fight club with dogs of all kinds confronting each other. During his epic journey to find the queen again, Rex falls in love and discovers his true self. “The Queen’s Corgi” is the first animated film distributed by Apollo Films…and we aim at releasing more animated films skewing toward families and based on strong IPs,” said Clerc, adding that he expects the Easter holiday period, which lasts until May 5, to bolster the film’s box office haul over the next few weeks. The box office performance of The Queen’s Corgi surpassed Minuscule 2, and The Lego Movie 2, and ranked on par with Gaumont’s 2016 feature Leap, which ended up grossing more than $12 million from a total of 1.8 million admissions in France. The Queen’s Corgi also scored the best opening for a film produced by nWave, which also produced hits The Son of Bigfoot and Sammy. The Queen’s Corgi has now opened in The Netherlands, Portugal and several countries in Eastern Europe. 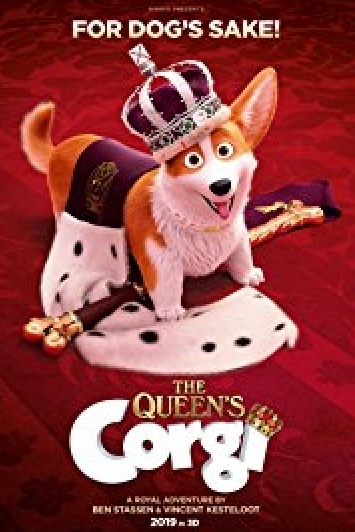 Budgeted in the $20 million range and positioned as one of the most ambitious animated features slated for this year from Continental Europe, The Queen’s Corgi is set to continue its roll-out around the world, where it will be released by major distributors, including Lionsgate UK. The company’s teaser for the film proved to be Lionsgate’s top-performing teaser of the year in Britain. Lionsgate is now planning a July release. The Queen’s Corgi will come out in Germany, Brazil and Australia over the next three months. I grew up with one....Cindy....from when I was 10 to age 22. Fun, loving and just great personality!